Tina was the eldest of the group. At 22 years old, she was allowed to do anything she wanted to!!! Below, she was preparing to take a nap. 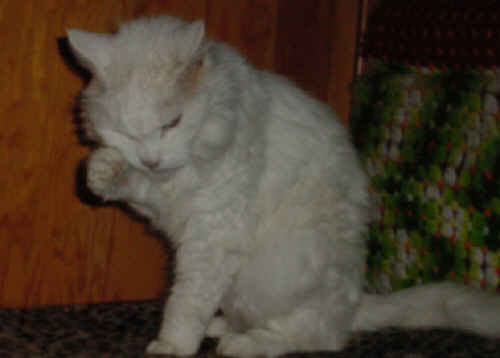 Mikki joined the others in August 2006. 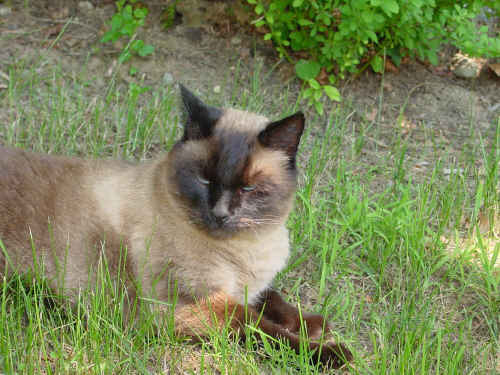 He was very quiet and undemanding for a Siamese. Therefore, we allowed him to do ALMOST anything he wanted to!!! 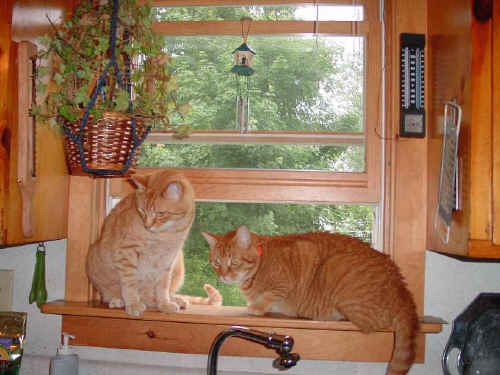 Chester (left) and Rusty (right) were born in August 1998, they were not allowed to do anything they wanted to, but they did anyway!!! (Aug 2009) ...and now we have only Chester. 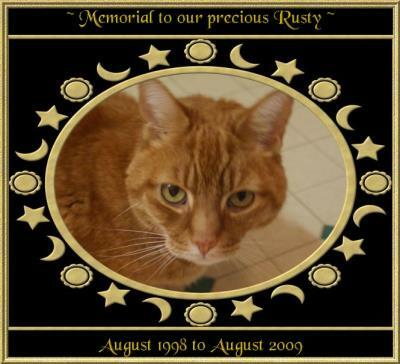 When the pain of our loss of Rusty subsides, we will be on the lookout for a companion for Chester. Did you enjoy our pictures? We'd love to hear from you! Our Furry Friends, our precious kitties! "They all get along together nicely!!!" YouTube Movie Playlist of The Munchkins! 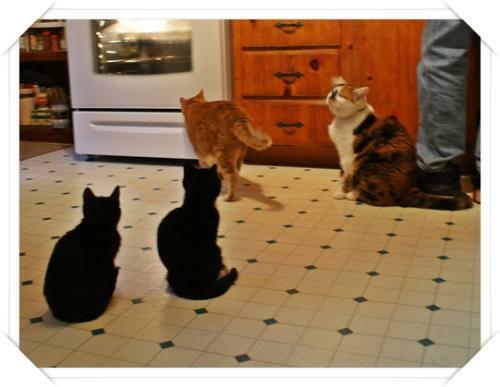 somewhat patiently, for their chow!